Allergy Advice: Contains Wheat Gluten, Soybean, Peanut. 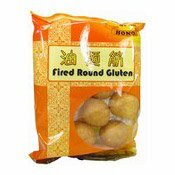 Ingredients: Fried Gluten (45%), Water, Soy Sauce (Water, Soybean, Wheat, Salt) (15%), Sugar, Peanut (8%), Flavour Enhancer (E621). 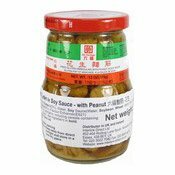 Simply enter your details below and we will send you an e-mail when “Fried Gluten (Irregular) With Peanut In Soy Sauce (花生麵筋)” is back in stock!